The REESE Towpower<sup></sup> Magnetic Towing Light Kit is ideal for those situations where temporary lighting is needed. Can be used when towing a car or trailer and moved to different vehicles if necessary. This brushed nickel contemporary track lighting kit is a great addition to your entry ways and service areas. This is UL listed to be suitable for dry locations. Uses energy saving GU24 bulbs. A classic 3 piece kit, including Scotchgard(TM) protected rear bench and bucket seat covers for your car or SUV. Covers are constructed of Dobby knit fabric and are designed to be side airbag safe. Magnetic Base Tow Light Kit The REESE Towpower<sup></sup> Magnetic Towing Light Kit is ideal for those situations where temporary lighting is needed. Can be used when towing a car or trailer and moved to different vehicles if necessary. 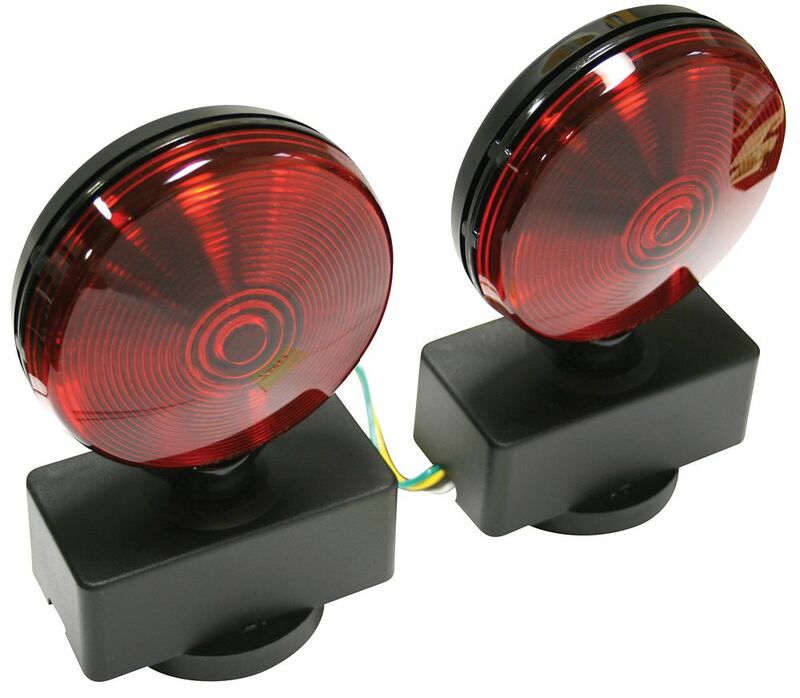 Magnetic Base Tow Light Kit is rated 5.0 out of 5 by 2. Rated 5 out of 5 by movinBett from Meets the need Works as advertised. Lights are bright and harness is long enough for my trailer. Magnets are very strong and have not moved when mounted to flat steel plates on trailer. Much easier than rewiring the trailer. Rated 5 out of 5 by Jerry from trailer lights Easy to install, works great, and very durable. I would recomend.